With Project Manager, you can generate reports of your projects, tasks etc. focusing on various criteria. To view reports navigate to wp-admin → Project Manager → Reports. We have added several predefined report cases depending on user feedback. The reports are very much self explanatory. Lists tasks from the project which have passed the due date but not completed yet. Now you can find out which tasks you need to get off from your waiting list first. Tasks which were completed from all to-do lists. Tasks which you can relax about. A complete review of all the tasks created or deleted by all co-workers. It is also possible to create reports for specific user activities. All you have to do is select the user name and time frame. A complete report showing all your tasks from projects. 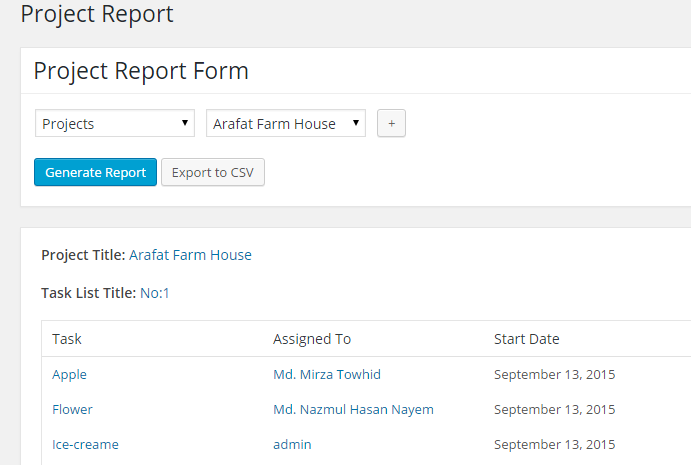 You can also generate reports for complete and incomplete tasks. When you select this report a popup with be displayed and you have to choose what kind of report you want to generate and press the Run Report button. Displays all the tasks according to specific milestones. You have to select a project and assigned milestone to generate this report. 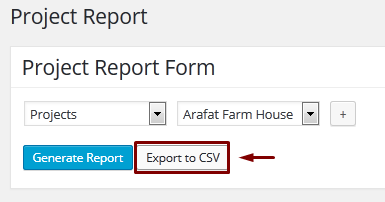 You can also export this report to CSV file format. This report lists all the tasks which were not assigned to any of the users. We didn't completely remove our old reporting system because of it complete manual capacities. You can still access it by clicking Advanced report. 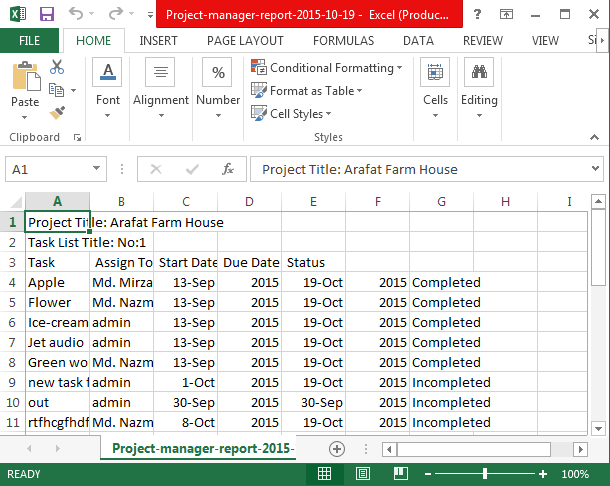 In this page, you will be prompted to select a project to generate the report or to export it to a CSV file. Use the drop down menu to select your desired project. Use the “+” button for selecting multiple projects. Click generate report to view project report(s). After clicking generate project button, you will see your project reports in details as like Project Name, Task List, Title, Task, Assigned Person's name, Start Date, Due Date, Status and more in details by clicking on them. After getting reports, you can export your reports as Excel file for backup. Click “Export to CSV” button and a file will be downloaded. After download file, you will see it to your browser downloads and download folder on your PC. Now you can open your file to see your projects report just navigate to your download folder and open your desired file and you have done. If you have any feature request or having difficulty to understand this doc, please open a support ticket.